The Range Rover has always been the class leader in luxury off-roading, a lot of manufacturers have tried to compete, some have done better than others, but to this day, if you ask people what the ultimate luxury 4×4 is, I can almost guarantee that over 90% will say “A Range Rover”. There is one very obvious reason to why this is and always has been the case, and that is that for a long time it really was the only luxury 4×4 unless you count the Toyota Land Cruiser, but with its Cadbury Milk Tray plastic interior, it doesn’t get close to the full-fat Landy on build quality. The £76,000 + SUV has become an icon in the celebrity world with everyone and their over-pampered dog owning at least one from football players, to TV stars to even Her Royal Highness Queen Elizabeth II herself! In recent years, a lot of manufacturers have cottoned on to this market of high value individuals who not only like supercars and Rolls Royces, but they also want a bit of height and superiority on the road and have started to take on the green oval straight on. The best example of this is the land-boat that is the new Bentley Bentayga. I have very little negative to say about the Bentayga actually, I have had a look around a couple and the finish is everything you would expect from a vehicle carrying the flying B emblem and more, I even think that, in the right colour, it can actually be a handsome brute too. This is all good and well if you are planning on cruising through Knightsbridge in the back seat on a Friday night, or if you are driving from your chalet in Switzerland to your apartment in Monaco, but the biggest factor that differentiates the Range Rover from every other vehicle in its class is its pedigree, and therefore, its capability. 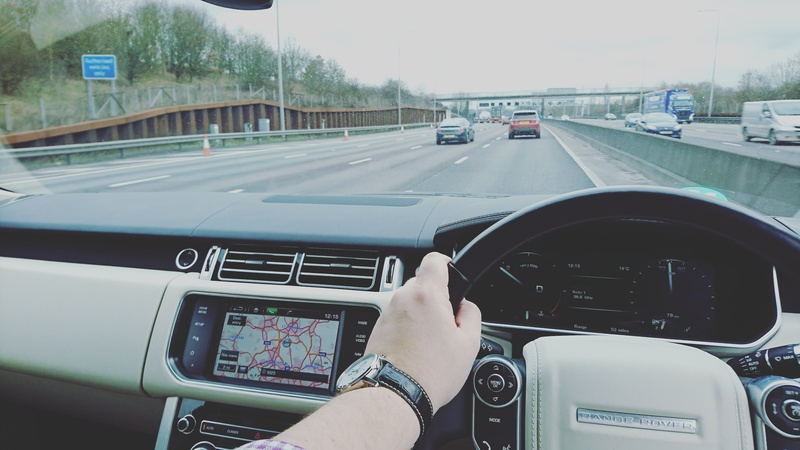 The Porsche Cayenne, the Bentley Bentayga, the Audi Q7 and the Mercedes G-class – All great cars, all brilliant to drive on the road and all very well finished, but they are cars primarily designed to go on the road with the off-road functionality added after, whereas the Range Rover is the exact opposite. Land Rover have always made 4x4s you can just tell when take one through the muddy stuff that even though the seats are made beautiful soft cow hide, and the veneer is so smooth you feel like you’re in a Phantom, it will not let you down or show you up when you take it up a big hill. That to me is what makes this car so special, so perfect for everyday life. Over the years my family have owned many different Land Rovers including the coveted Range Rover. My mother has had 2, the infamously unreliable P38 variant and then the not-actually-that-more-reliable L322. I loved them both. The P38 was big a square and it just looked great on the road and the sound system was brilliant. The downer (among many things) was it’s complete lack of power from the BMW-built 2.5 diesel lump. It would sit at motorway speeds comfortably and it was a great mile-eating cruiser, but it just took an age to get there. And as for overtaking, forget it. The gearbox would drop a gear, the engine would make more noise and the fuel gauge would go down, but that was literally about it. One thing I did love was the quality and comfort in the cabin. It looks dated now but at the time it was fantastic. This only improved with L322. The exterior is still a bit questionable with early models starting to look very past it already, but that interior was great, which has only improved with face-lifts over the years. Again though, this suffered a long list of electrical issues that never got fully cleared down. If it wasn’t a battery drain coming from a faulty parking sensor, it would be dodgy headlight washers and so on and so on… It was definitely a better car to drive though. This time my mother had opted for the ice cap melting 4.4 Petrol V8, again from BMW, and it wasn’t actually a bad engine. It wasn’t the flat out tarmac warrior the supercharged V8 was, and it also wasn’t the planet pulling diesel, but it was a nice smooth petrol V8 that made a fairly nice sound with a bit of poke when you needed it. It was also very impressive off road. So, now to talk about the L405. The model I drove was the entry level 3.0TDV6 Vogue with that fantastic 8 speed ZF gearbox and also with a few goodies like pano roof and radar cruise. The TDV6 may not be as strong as the full fat TDV8 diesel, but with 258 bhp and an adequate 440 lb ft of torque, it’s no slouch on the tarmac and it has plenty of grunt when things get a bit slippery. 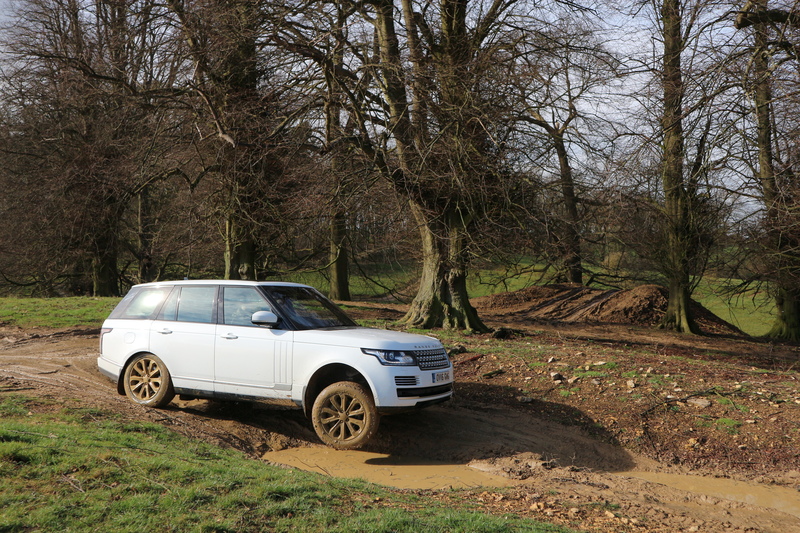 My drive in the Range Rover was unfortunately limited to just road use but I was fortunate to see one in action at the Land Rover Experience Centre at Rockingham Castle while I was driving the Discovery 4 there a few days later. The first thing you notice when you get in the new L405 compared to the L322 (aside from the magnificent glass roof) is that it all feels a bit smaller inside, but in a good way. The L322 was very big and spacious, but everything seemed miles away and if you went into a right turn a little too optimistically, you would find yourself sitting in the passenger seat all of a sudden. The main drivers area of the newer model feels a bit more enclosed and driver focused than before. The centre console is higher and the overall driving position is just a bit better. Like all things JLR now, the old analogue dials have all been replaced by one big screen which quickly shows you an image of a sunset and then the Range Rover text appears before the dial graphics appear when you get in. It’s nice to look at the first time you get in, but you soon forget about it. One thing that I really do not like about nearly all modern cars like this is this obsession with screens. If the screen is set up to show you “old fashioned” dials when you’re driving, why not just have dials… I also have issues with the “infotainment” system that JLR have put in most of their new vehicles. I didn’t like it in the F-pace, I didn’t like it in the F-type, I didn’t like it in the Discovery 5 and I don’t like it in the Range Rover. It just seems to be so laggy and slow to respond. When you’re driving along, you want to be able to quickly and safely change the radio station with a simple button or dial, not have to focus on a screen covered in grubby finger prints that if you don’t hit *exactly* the right tab, will turn on the side cameras. Fortunately, once you’re on the move, you don’t really care about all that. On the road, driving the Vogue is like driving a cloud. It’s so smooth, gentle and quiet.The suspension set up has come a long way since the Classic and it goes round corners flat like it was on rails. The V6 diesel also has a really nice gentle, but respectable amount of pull when you need to pull out and give it a little wellie. One thing I have always loved about the Range Rover is the occasion of driving it. It’s not like the Ferraris and Porsches of the world, where with every drive you feel a bit more like a Formula 1 racing driver, it’s more of a feeling of luxury, or comfort and of sophistication. Like dining at Hawksmoor or The Ivy. You’d probably wear the same outfit too. It’s the well fitted chinos and tailored shirt with a classic Swiss timepiece of the car world, compared the driving trainer and designer jean / t-shirts of the sports cars. And in reality, that is the main audience for this car. Admittedly I live in a very rural area with lots of wealthy farmers who drive around in new Vogues wearing dirty trousers, scuffed boots and gilets, but that is really on a portion of the clientele these days. More often than not, if you see a new Vogue on the road, it’s driven by a business man who has never seen the business end of a cow or sat in the latest CLAAS combine harvester. This is kind of a shame as this car is so brilliant off road and therefore should be used in both environments a lot, but I am also aware that JLR have their goals for numbers of units sold and to hit them, they need to appeal to a much wider audience than the rich potato farmers of East Anglia. I drove the Vogue for around 200 miles in a mixture of fast moving motorway traffic and heavy town / airport traffic and it was great in both scenarios. As I said before, it;s so quiet and comfortable I could have a long and relaxed conversation without having to raise my voice as speed increased and when I finished the drive, I didn’t feel I needed to stretch, or have a rest or anything. I just felt happy that I finally got to drive the L405 after waiting for so long. I am often asked by friends and colleagues “if you could have 2 cars right now, that had to last you the rest of your driving life, what would they be?” And I always go for the classic daily car and the toy car. The “toy” car always changes. One day it will be a McLaren 675LT, the next a Vantage GT8 etc. But one that never changes, is that “daily” car. It is always a Range Rover.